En colaboración con Nuria Cano. [ES] Hogar dulce hogar esta conformado por una casa prefabricada y instalada en el esapcio expositivo. Un objeto arrojado, empotrado contra la pared. 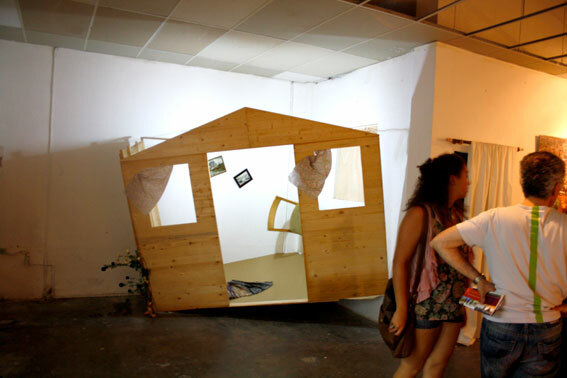 [ENG] Home sweet home is conformed by a prefabricated house and installed in the exhibition space. 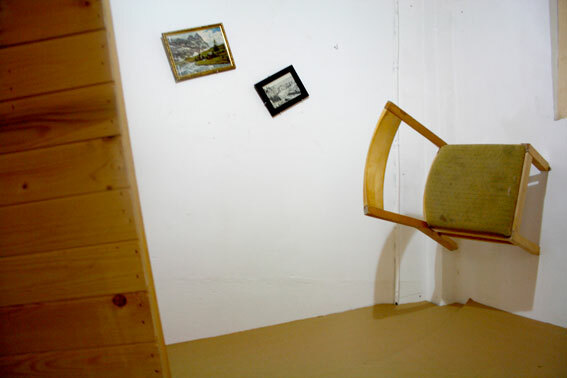 A thrown object, embedded against the wall. This work has an innocent sense of humor, and at the same time there is something too normal in the piece where something extraordinary is happening. 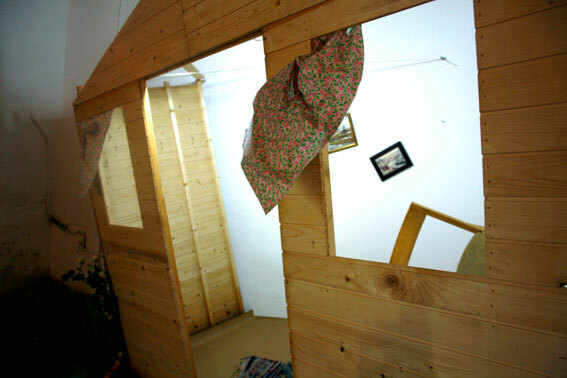 An home that flew through the air to stamp itself inside the exhibition space, literally embedded in the wall. The question is: Are you witnessing the remains of a dream or a disaster? 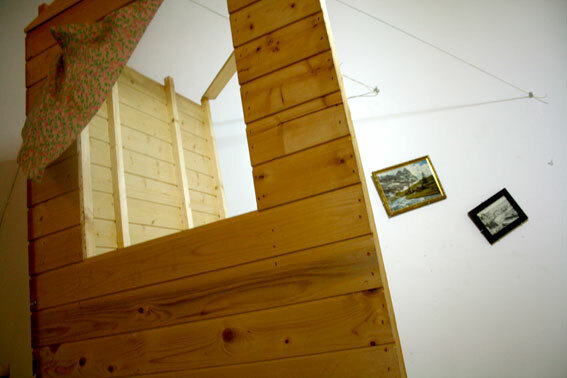 The absurdity is reflected in the practice of these two artists, but also the physical risk and the visceral reaction that induces, the clear risk of stamping a house even if small, imposes a certain feeling of gravity. The enigmatic moment of a narration is the secret of work. A nod to the sublime - evidenced by the casual composition - that imposes a brutality on its creation and ultimately on its meaning. What fascinates most about this work is this double aspect that refers to the reciprocal relationship between idealization and violence. It describes the creation scenario as what could be a low budget disaster film.